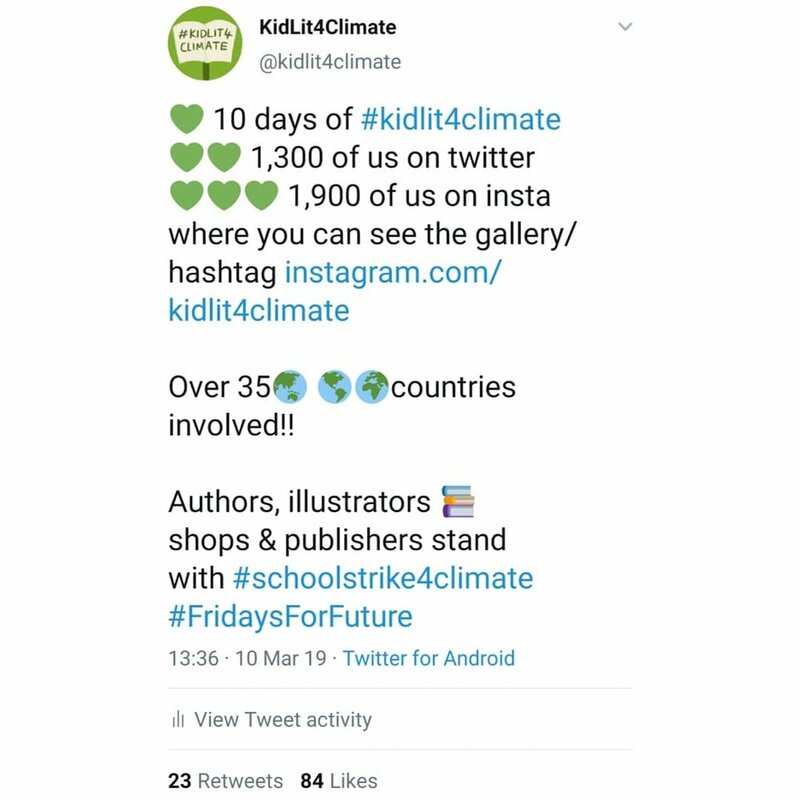 Two weeks ago I started a campaign called #KidLit4Climate where authors and illustrators stand in solidarity with the youth climate strike. I asked people to take part in a virtual protest by drawing an illustrated protestor, to show support for the global climate strike which takes place tomorrow March 15th. It has exploded more than I ever imagined it would! - I was expecting maybe 20-30 illustrations over two weeks from people I know. In less than two weeks I have been sent over 1,500 illustrations from over 45 countries all over the world! Many world renowned kidlit people and my favourite artists have taken part, which has been so phenomenal to see. I've also been introduced to so many new people and their amazing work through this. I am SO impressed, blown away and happy that so many people have taken part and been inspired by this cause. It warms my heart that people email me and tell me where they're from in the world and why taking part means so much to them. 45 countries (and Antarctica 🐧!) is incredible. A lot of people have said this campaign has offered them an outlet for the frustration and helplessness they have been feeling. I am so glad that it has - and that young people are seeing this movement and that we stand with them. These young people are doing something amazing, but are often still not taken seriously. We need to stand with them as grown ups and help to amplify their message, a message that affects all of us on this planet. To every single one of you who has sent me a message, drawn a protestor, taken an author selfie, offered words of support & helped to make this protest the explosion of artwork and words of solidarity that it is - THANK YOU. I am so, so impressed and I appreciate it so much. It's been a wild two weeks! My illustrated protestor - inviting illustrators to join the virtual protest in solidarity with the youth climate strike! 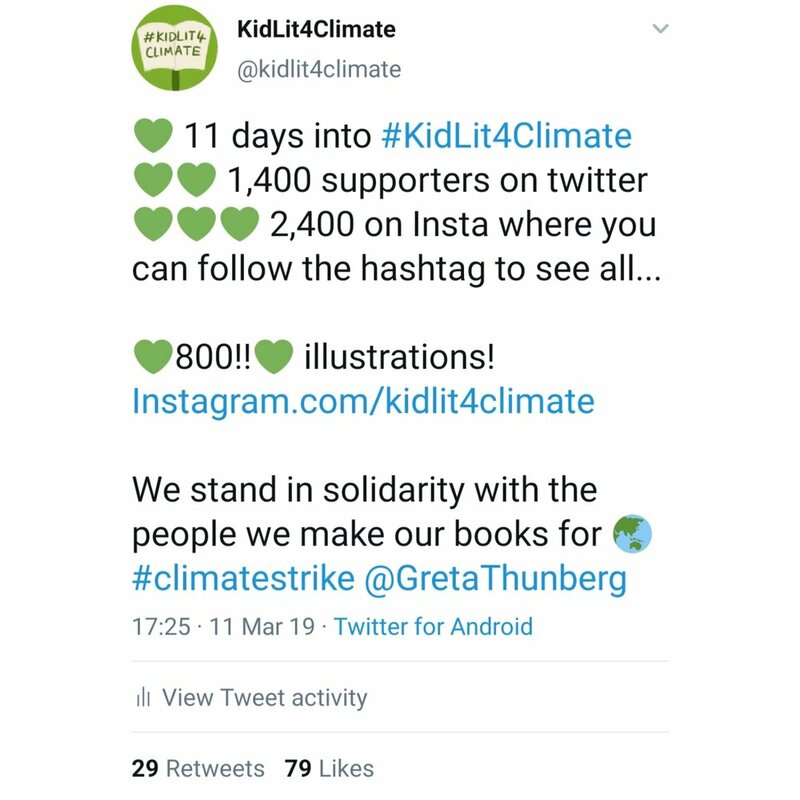 We are KidLit4Climate and we stand with the people we make our books for. For how to take part - visit the KidLit4Climate web page here. See all the images by following the #KidLit4Climate hashtag on Instagram.